OLD PARKED CARS. 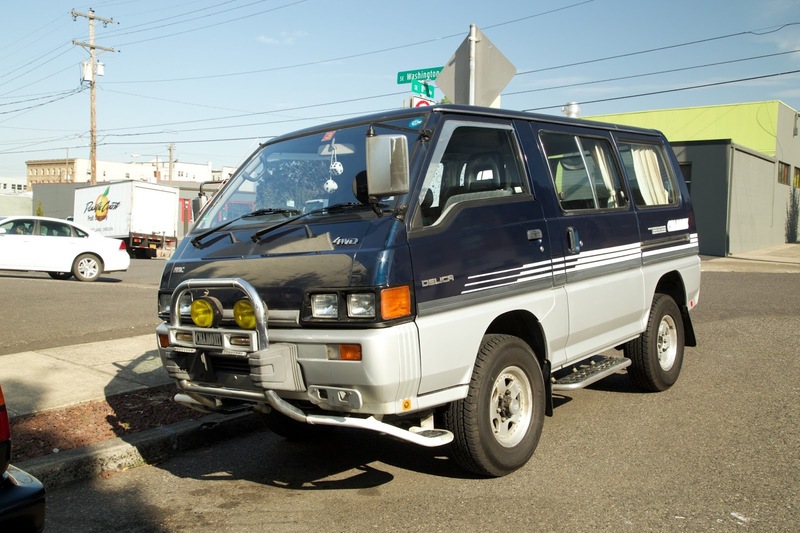 : 1993 Mitsubishi Delica Chamonix. This thing is baaaaaad aaaassssss! Notice the Wells & Fargo -type rear suspension system. 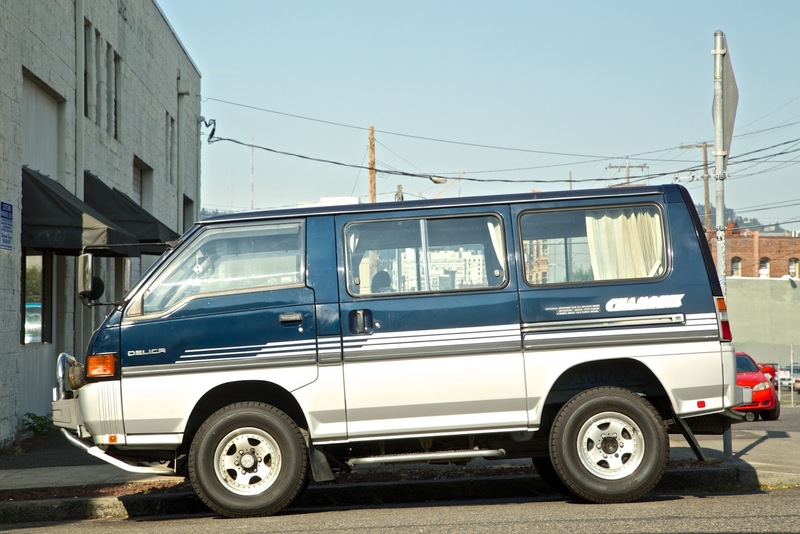 I would say that this is a stunning example, but it seems like the Delica tag is looking entirely clean. These must not have seen the intensity of use that they were designed for. 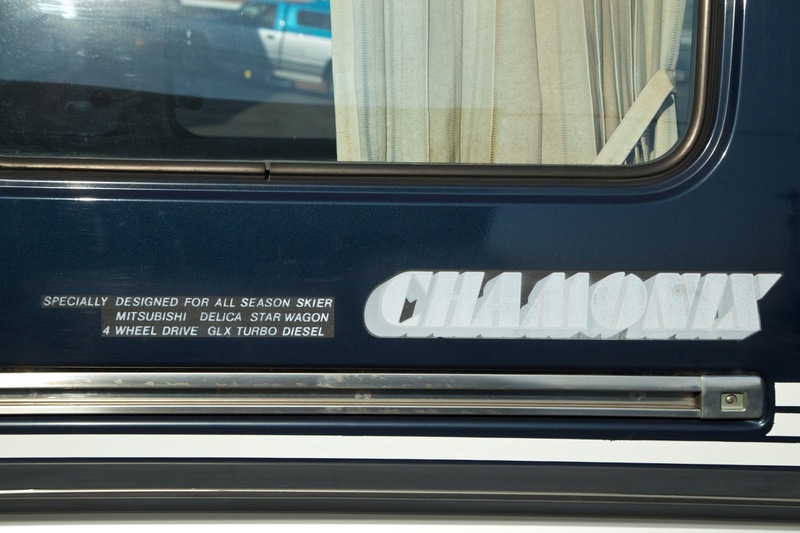 Dang impressed and pleased that typeface and graphics were approved in 1993. I mean, Honda had already been making the NSX for two years. 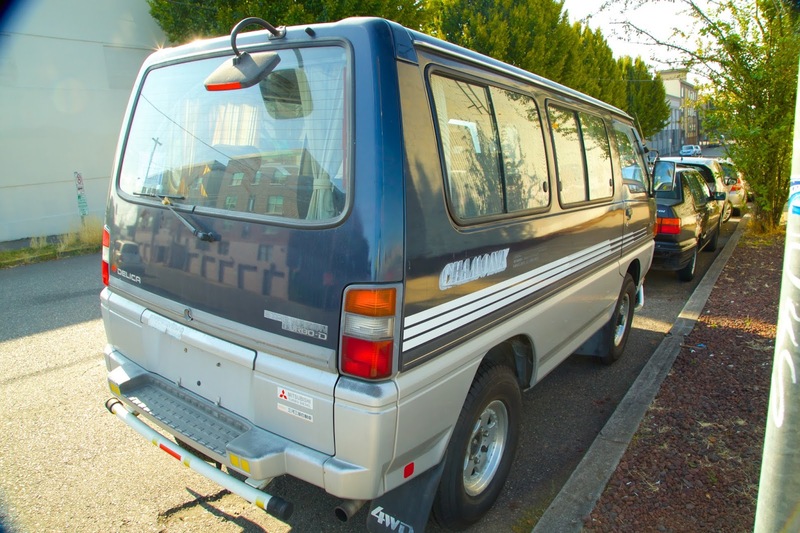 Are we ever going to have a best of that doesn't include a Delica? I sure hope not. Why'd you choose that side for the rear angle? i picked that angle because the lighting was so harsh, and it put the two planes in relatively even exposure. the other side would've made for a better composition, but the extreme contrast wasn't worth it. that was my thinking anyway. i think all these weird canada-market 4wd vans have a reputation for being easy to steal, but if no american thief has ever seen one, i wonder if that mitigates some of the risk.